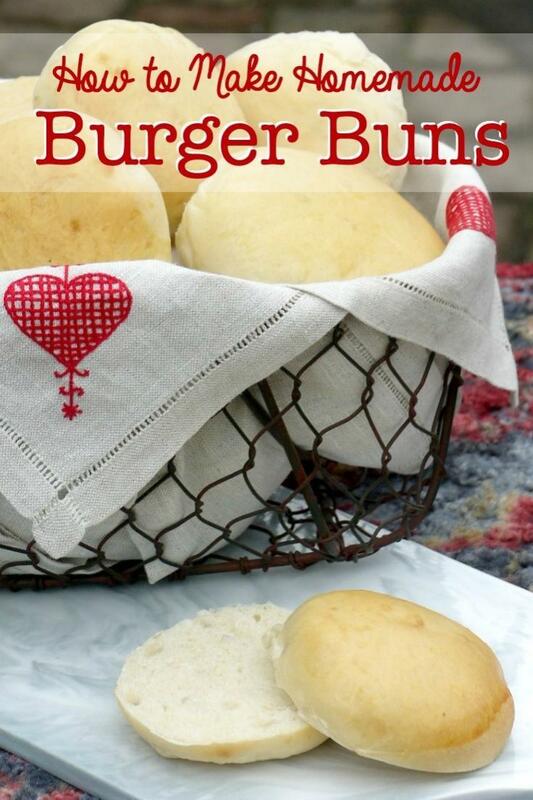 Making beautiful homemade burger buns is just about as simple as it gets. Just pick your favorite bread recipe (or use mine), let it rise, form buns, let them rise again and bake! Once every other week, Mr. B gathers with a bunch of his buddies for three hours to play poker, catch up on life, and talk fish or sports or work or whatever. They’ve been doing this for over a decade now, rotating houses and taking turns hosting. It is their custom that whomever hosts provides at least a substantial snack, and more often, a full-on meal. I usually vacate the house on Poker Night (too much cheeky crowing in a confined space can make a person woozy) but before I leave, I always try to make a good dinner for the guys. According to Mr. B, I’ve developed a reputation among the group as their favorite Poker Night cook, and while I admit these guys are obviously easily impressed, I’ll take it. 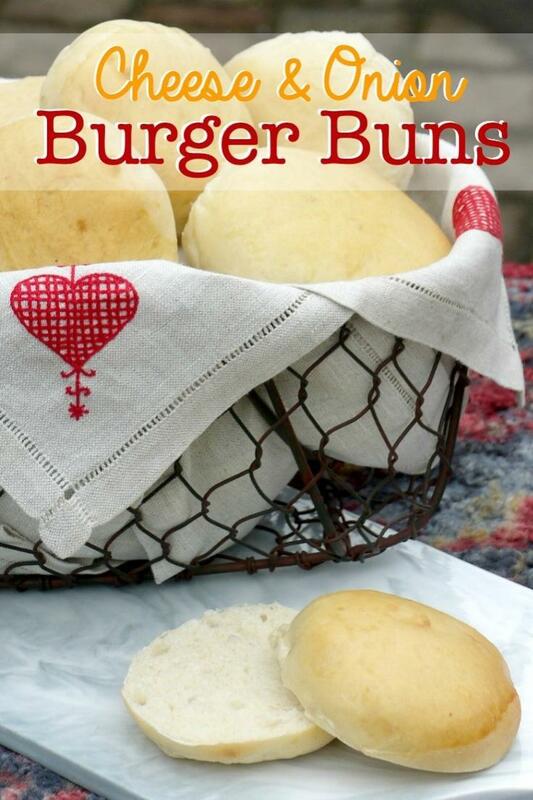 Making beautiful homemade burger buns is just about as simple as it gets. Just pick your favorite bread recipe, let it rise once, form buns, let them rise again and bake. Boom!! Making beautiful burger buns is just about as simple as it gets. Just pick your favorite bread recipe, let it rise once, form buns, let them rise again and bake. Boom!! Make your favorite bread dough and let it rise once. You can do this first step in a bread maker or by hand: either way works fine. FOR BREAD MACHINE: Layer ingredients in the order shown into bread maker and set on Dough Setting. FOR MANUAL PREP: Mix and knead the dough by hand. 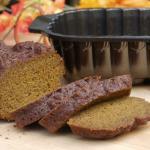 You can find excellent general directions for making bread without a bread machine here. After the dough has completed the Dough Cycle (or the first rise if you are kneading by hand) turn it out onto a lightly floured counter. Now you will have a counter full little square dough-patties, ready to set out for the second rise. FOR SQUARE BUNS: Continue to the next step. FOR ROUND BUNS: Gently pull the four corners of each square dough-pattie together and pinch them together, and give the pinched portion a slight twist. 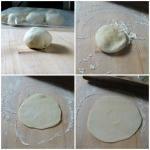 Turn the pinched dough side down, and pat gently to form a round pattie shape. Take care to not work the dough too much. Line a baking sheet with parchment paper or a Silpat mat. Place the dough-patties at least 1 inch apart on the lined baking sheet. Cover with a towel, and set in a warm place to rise again for about an hour. OPTIONAL: Just before you put the dough-buns in the oven in the oven, brush the tops with an egg wash made up of 1 egg beaten with 1 tablespoon of water or milk. Be gentle as you do this, taking care to not deflate the rolls in the process. 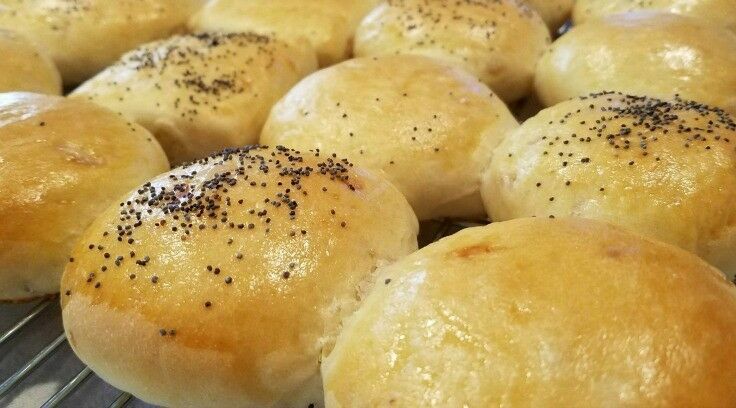 If you want to make poppy or sesame seeds buns, sprinkle the seeds on top right after you brush them with the egg wash. Put the tray of rolls in the oven and bake at 375º for 15-20 minutes (depending on size) or until slightly browned on top. Remove from the oven, place on wire rack to cool. STEP 3: Don't stress if your little dough squares aren't exactly the same. You can always take a bit from one and add it to another if you want. Use a kitchen scale for uniform buns. 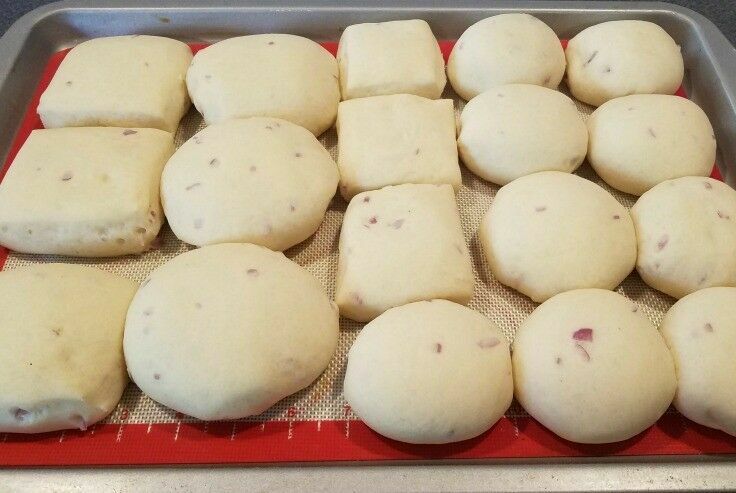 LARGE BUNS: Allow about 3oz / 85gm of dough for each roll. 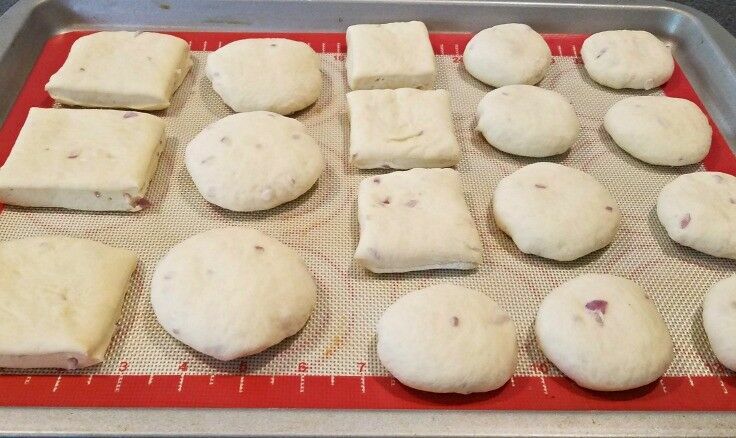 SLIDER BUNS: Allow about 1½oz / 42gm of dough for each roll. 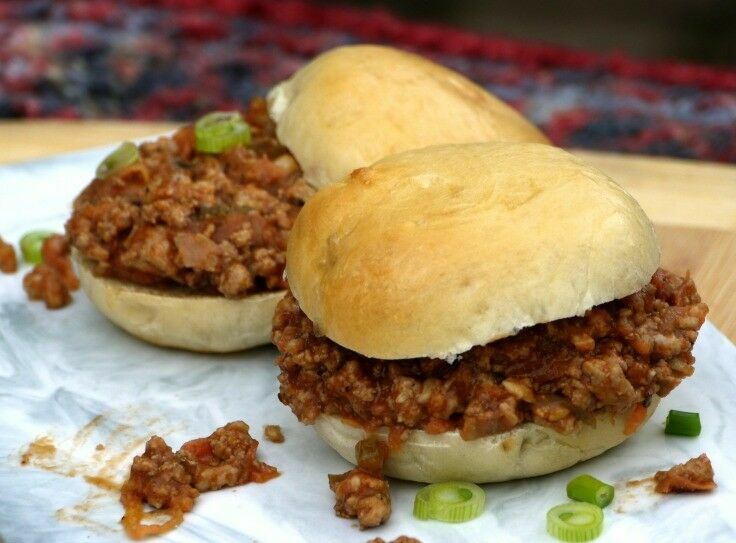 You can make homemade hamburger buns with almost any bread recipe. Here’s one of my favorites – Cheese & Onion Buns! 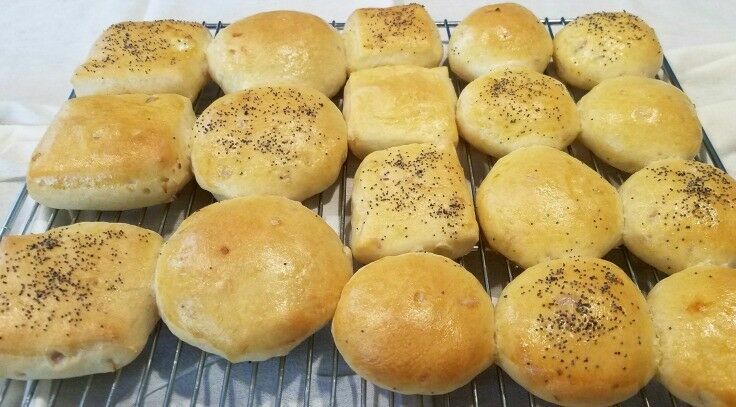 These savory Cheese & Onion Buns are perfect for burgers, sandwiches, BBQ and just about anything else you can think of. You can do this first step in a bread maker or by hand: either way works fine. FOR BREAD MACHINE: Layer ingredients in the order shown into bread maker and set on Dough Setting. FOR MANUAL PREP: Mix and knead the dough and do the prep by hand. 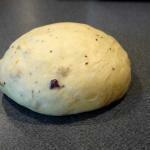 You can find excellent general directions for making bread without a bread machine here. After the dough has completed the Dough Cycle (or the first rise if you are kneading by hand) turn it out onto a lightly floured board. Put the rolls in the oven and bake at 375ºF / 190ºC for 15-20 minutes (depending on size) or until slightly browned on top. This website provides approximate nutrition information for convenience and as a courtesy only. Now your buns are ready to slice and toast (if you’re into that kind of thing) and serve up with your favorite burger, fillings, and sandwich makings. 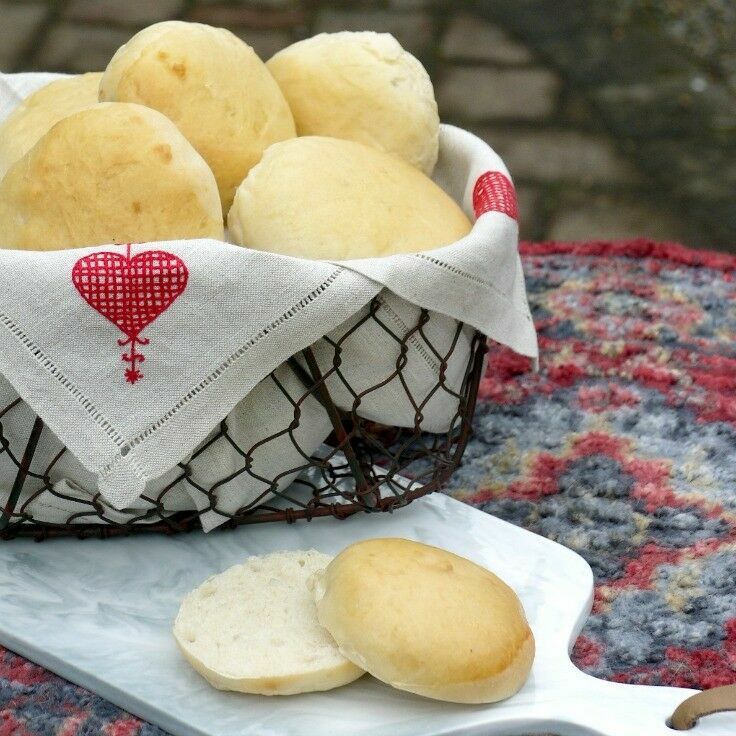 As with all fresh, preservative-free bread, it’s best to eat your homemade burger buns within a day or two. Buns can also be frozen for later. 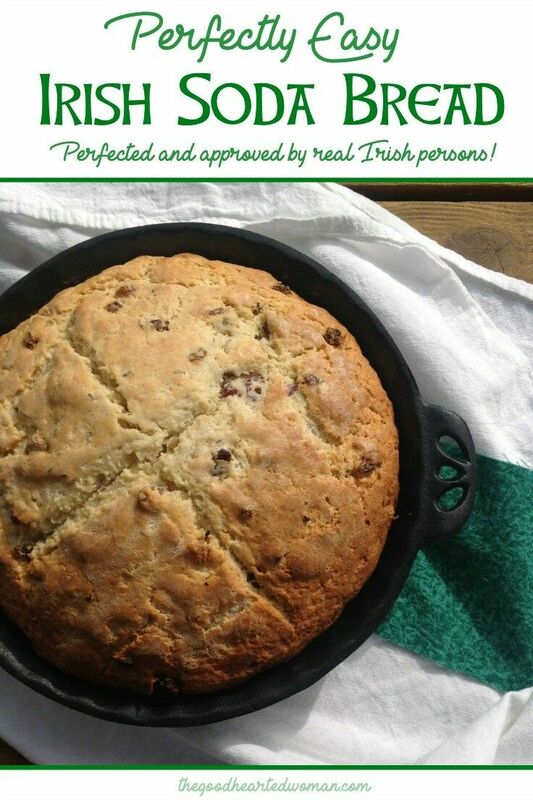 Perfected and approved by real Irish persons, for your pleasure, this Irish Soda Bread is amazingly easy to make. As you may know, St Patrick’s Day is my favorite holiday. In fact, I love all things Celtic – even my wedding ring has emeralds and Celtic knots on it – and I’ve always had a thing for Ireland and the Irish people. I can literally take on a light brogue just thinking about it. (In fact, as I write this, I’m falling into it). 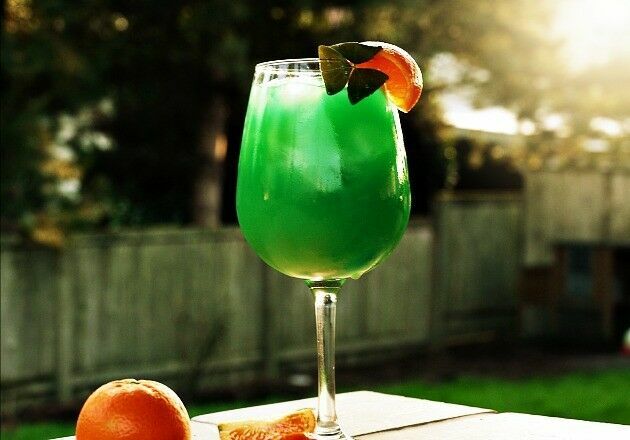 My affinity for Ireland dates back to before I can remember, so it should be no surprise that every St. Pat’s Day is a real celebration at our house. On that day each year, I serve up a feast of “Once-a-Year” mashed potatoes (so called because they are so rich and creamy you should only eat them once a year), slow-cooked corned beef, corn, cabbage, and soda bread; and then I usually throw in something new year to year to mix things up. However, before even one fork full passes, I deliver my compulsory pre-St Patrick’s Day dinner monologue (which I will share with you one of these years) about the fascinating and inspiring life of the real man who become St Patrick. It takes all of about three minutes, and my kids sigh and groan and laugh through it every year. At this point, they can repeat it almost verbatim. I wouldn’t have it any other way. 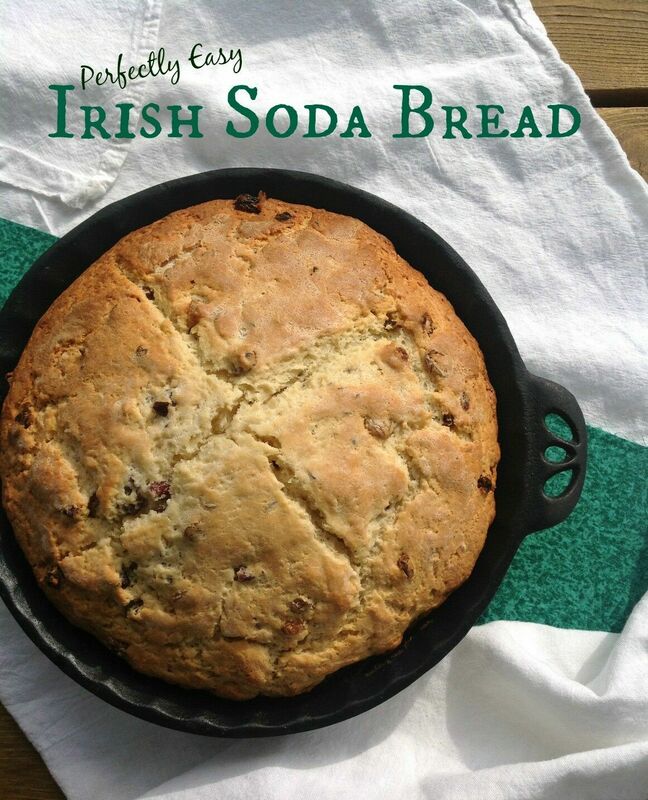 Today I am sharing with you one of my most prized St. Pat’s recipes: my Irish Soda Bread. Perfected and approved by real Irish persons, for your pleasure, this Soda Bread is amazingly easy to make. ½ cup white sugar Use 1/3 cup if you like your Soda Bread a little less sweet. 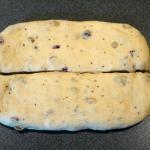 1 ½ cups raisins I use a mix of golden and craisions. Just use your favorite raisin. Preheat oven to 350°. Lightly grease a 9-inch round cast iron skillet or 9-inch round baking pan. In a large mixing bowl, combine flour, sugar, baking powder, baking soda, salt, raisins and caraway seeds. In a medium bowl, buttermilk and sour cream and melted butter. Blend in eggs. In a small bowl, combine 2 Tbls. melted butter with 2 Tbls. buttermilk; brush the mounded dough/loaf with this mixture. 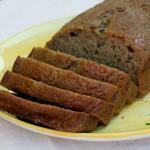 Use a sharp, wet knife to cut an ‘X’ into the top of the loaf. Bake preheated oven for 60 to 75 minutes. You can brush the loaf with the buttermilk/butter mixture once or twice during baking if you wish. 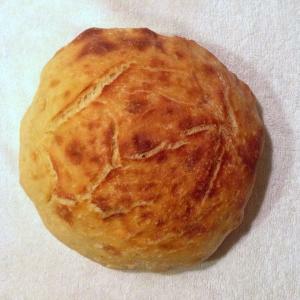 Test loaf for doneness by inserting a toothpick in the center – it should come out clean. Let cool and turn bread onto a wire rack. 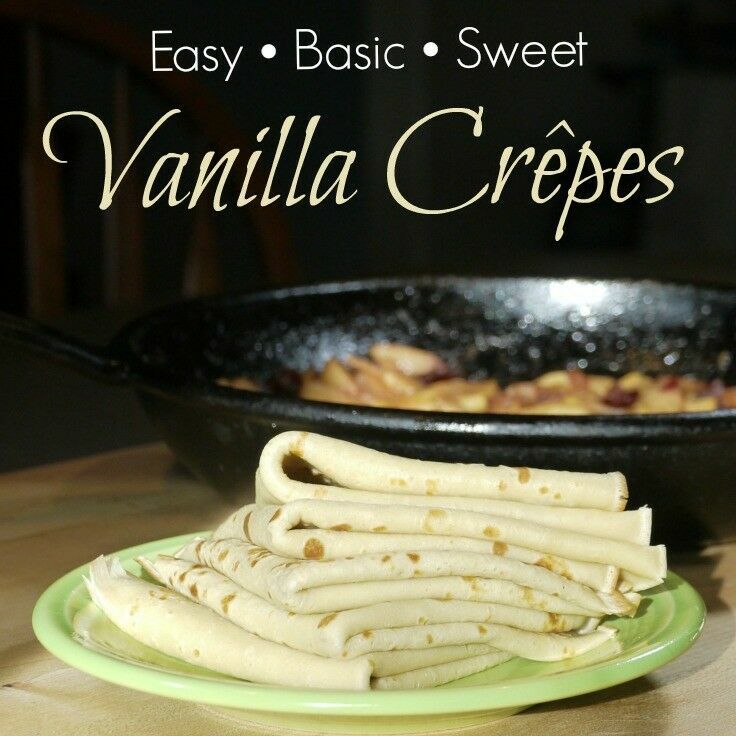 If you’ve ever been intimidated by crêpes, try these Easy Basic Sweet Vanilla Crêpes and you’ll wonder why you ever worried. If you can make a pancakes, you can make crêpes. Before you get started though, here are a few tips that will make the process even easier. Crêpe batter should be thinner and smoother than pancake batter – just thick enough to thoroughly coat a wooden spoon. If your batter seems too thick when you take it out of the refrigerator, add additional milk 1-2 tablespoons at a time until it reaches the desired consistency. Crêpe batter can be made the night before and left in the refrigerator until you are ready to make them. When pouring crepe batter into the pan, I pour with my my left hand and simultaneously swirl the the pan with my right hand. (I’m mostly right-handed.) The batter sets up very quickly, and this allows me to distribute it around the pan before it sets. 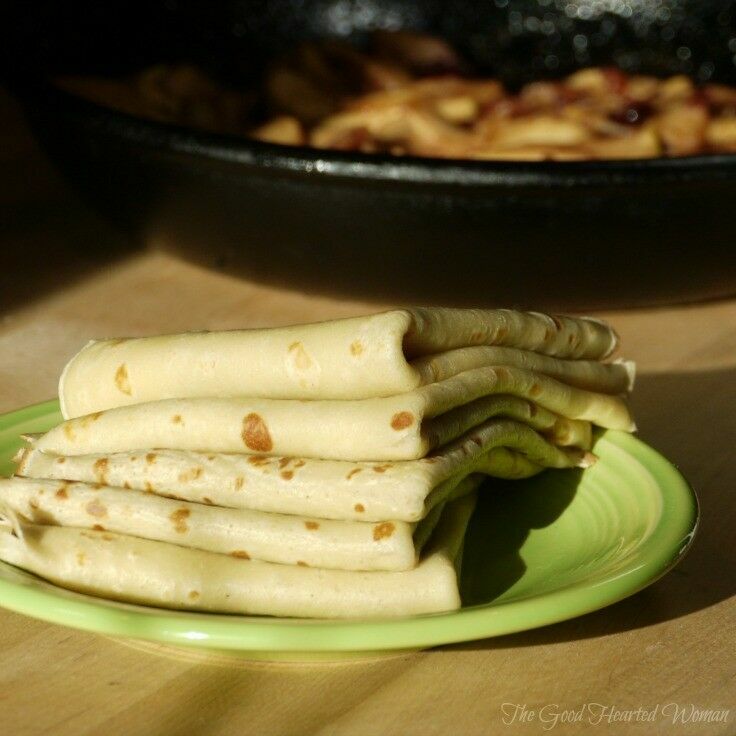 Crêpes are ready to flip when the edges start showing the slightest color brown and the center is no longer glossy. The are two basic methods for filling crêpes: the Roll and the Quarter-fold (or Cone). For most applications, I personally prefer the Roll method, but that’s just me. However, the Quarter-fold method makes a better presentation for unfilled crepes that just have toppings. Sweet Vanilla Crêpes can be served plain with just a dusting of powdered sugar and a sprinkle of lemon juice, or filled with your favorite sweet filling. I prefer to serve my crepes with the second side out: I think it is more interesting to look at. Nevertheless, this is in direct conflict with common practice, which is to hide the second side. 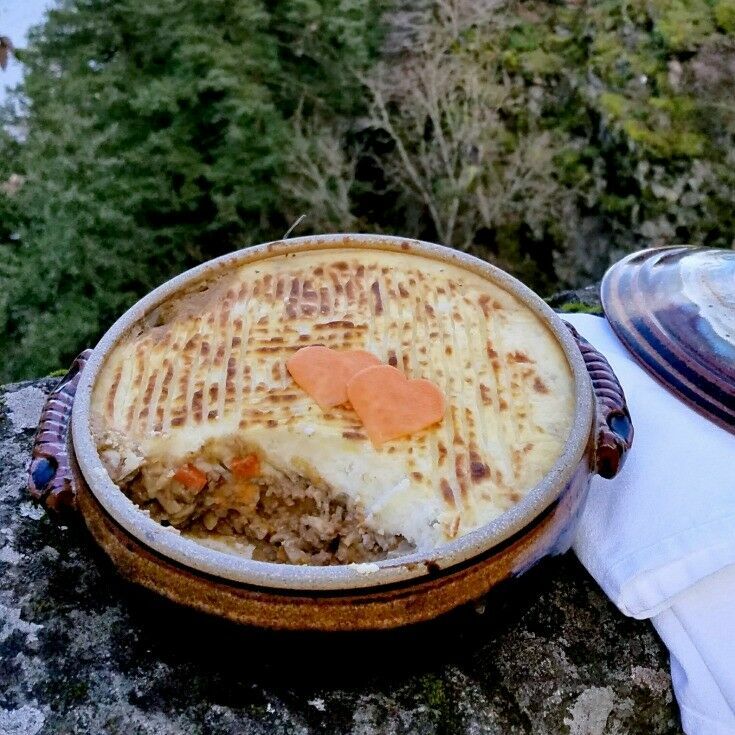 It’s all just a matter of personal taste as far as I’m concerned, but I thought you should know… just in case you are planning to host a group of snooty French gastronomes for brunch, because then you will probably want to put the browned, first side out. Put all the ingredients - the milk, eggs, vanilla, flour, sugar, salt and melted butter - in a blender and blend until smooth. Allow crepe mixture to sit in the refrigerator for at least an hour before using. 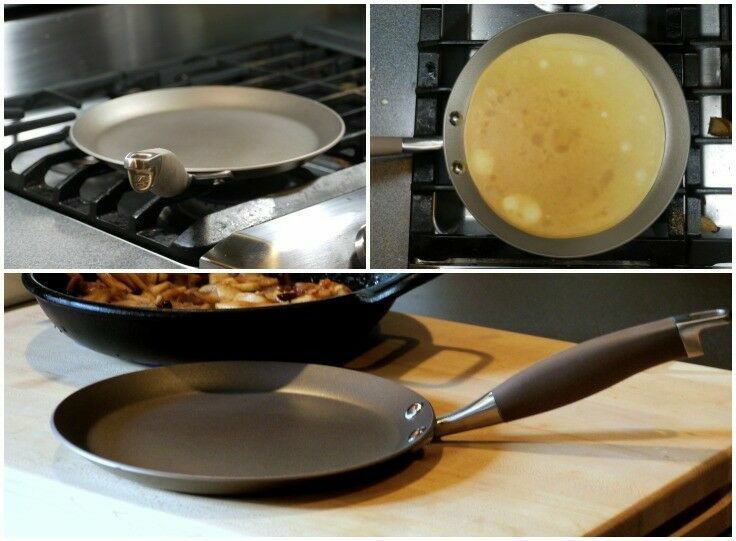 Heat a crêpe pan (or an 8- or 9-inch non-stick sauté pan) over medium-low heat. It is important to find the right temperature for crêpes. They are not supposed to be all brown and crispy. Start your pan on medium low and work from there. If you are worried about your crêpes sticking, rub a little coconut oil or extra-virgin olive oil over the surface with a paper towel. Remove any visible oil before proceeding. Pour 1/4 to 1/3 cup crêpe batter into the middle of the heated pan. Immediately swirl it around to create a thin flat crepe that reaches just slightly up the sides of the pan. I usually lift it off the burner for this step: it makes it much easier to manipulate the pan. The crêpe is ready to flip when the edges are just beginning to turn brown and the batter in the middle is no longer glossy or wet looking. Using a large, thin spatula, flip the crepe and cook another 15-20 seconds. If you are making another crêpe, don’t let the pan set empty on the burner for more than a few seconds or it will get too hot. Well, yes it is, and thank you for asking! I received this sweet crepe pan as a gift from Anolon, for attending a class they sponsored at IFBC 2015 called “How to Create Standout Holiday Content.” Besides being the perfect size and shape to create beautiful crepes, it has a hard-anodized PFOA-free non-stick coating that is (drum-roll, please) safe for Metal Utensils and guaranteed for life. So cool. So far, I am loving it. Is it Zucchiana Bread? 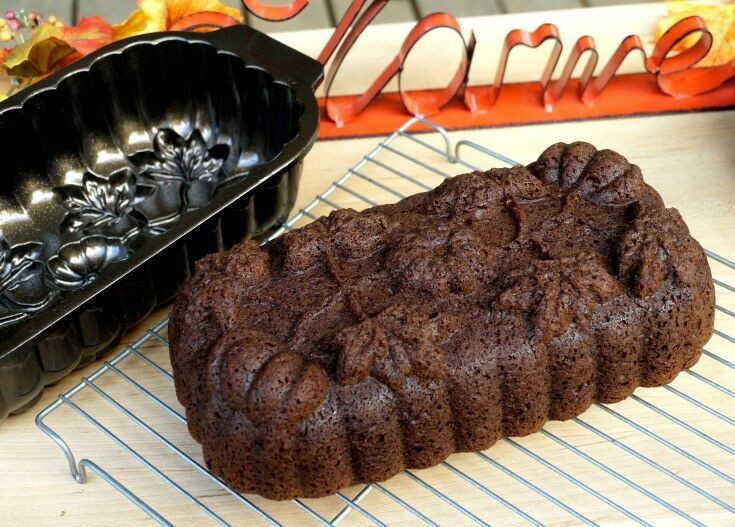 Banini Bread? 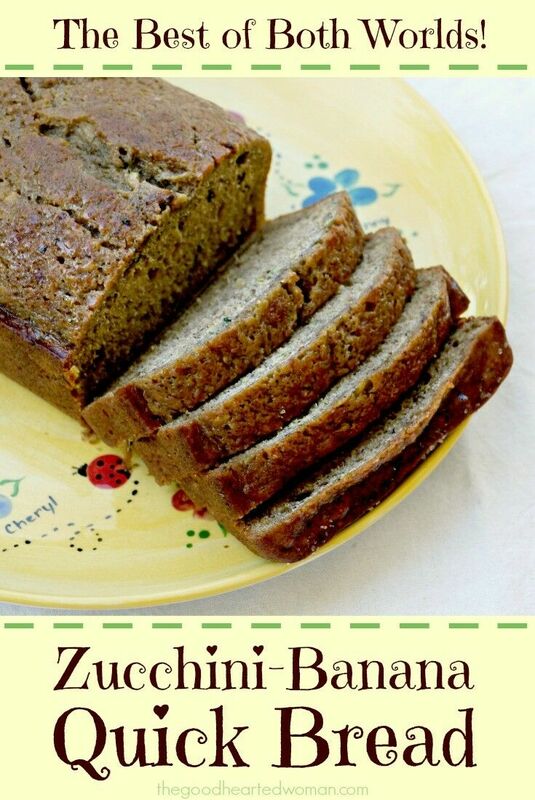 Whatever you want to call it, this amazingly moist zucchini-banana bread is the best of both worlds! It seems like every mother’s child, grandmother, pappy, poppy and shirt-tail cousin remembers their favorite “best ever” quick bread, and the person who made it for them too. 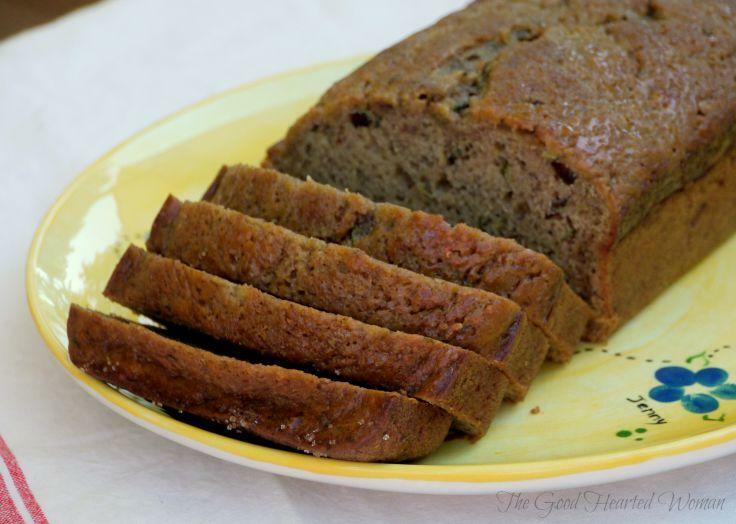 For me, it will always and forever be my mother’s banana bread – fresh out of the oven or cold from the fridge – it didn’t matter. It was always, every time, Perfect. The only way to make it any better was to slather a thin layer of fresh butter over the top of a thick slice and eat it slowly, savoring every bite like it was my last. Try as I might, I’ve never been able to replicate mom’s banana bread. Something’s always missing. Maybe it’s the smell of our turquoise kitchen, or the slick yellow and chrome kitchen table I sat at to eat. Maybe it’s just my mom in her brown flour-covered apron. 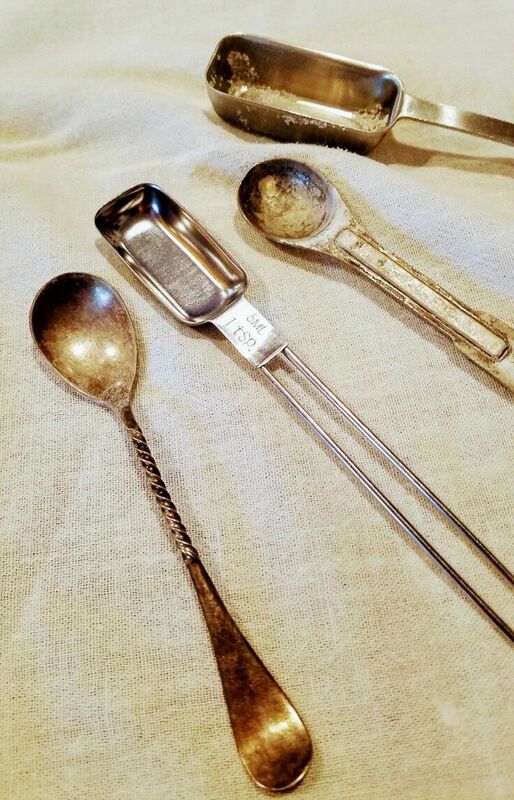 Whatever it is, her recipe is likely long lost, along with her fading memory, so unless I stumble on it tucked between the pages of one of her many hoarded cookbooks, it may well be gone forever. But I keep trying. With zucchini season in high gear, my latest attempt took a turn away from straight banana bread. For this, I merged my banana and zucchini bread recipes into what turned out to be an amazingly tasty loaf. After making a number of batches, I attribute this bread’s soft texture and rich flavor to the fact that, for the first time in years, instead of subbing in yogurt as I usually do, I went with full-fat ingredients. If you are trying to cut fat, you can always sub it back in, but keep in mind that the relatively small amount of fat used is balanced by the fact that most of the moisture (and a lot of the sugar) in this bread comes from fruit and vegetable sources. TIP: I like to sprinkle some raw sugar on the loaves just before I pop them in the oven. It gives the tops a thin glazed texture, and I think it makes the bite feel more interesting on the tongue. (For reference, the small loaf above on the right was sprinkled, and the loaf on the left was not.) Enjoy! In a medium bowl, stir together flour, cinnamon, baking powder, baking soda, and salt. In the bowl of an electric mixture, beat eggs until they are light yellow and frothy. Add sour cream, oil, white and brown sugars, grated zucchini, bananas, and vanilla. Slowly add dry ingredients to the wet ingredients and mix thoroughly to combine. Do not over mix. Divide batter evenly between loaf pans. Bake in preheated oven for about 45-50 minutes, or until a toothpick inserted in the center comes out clean. 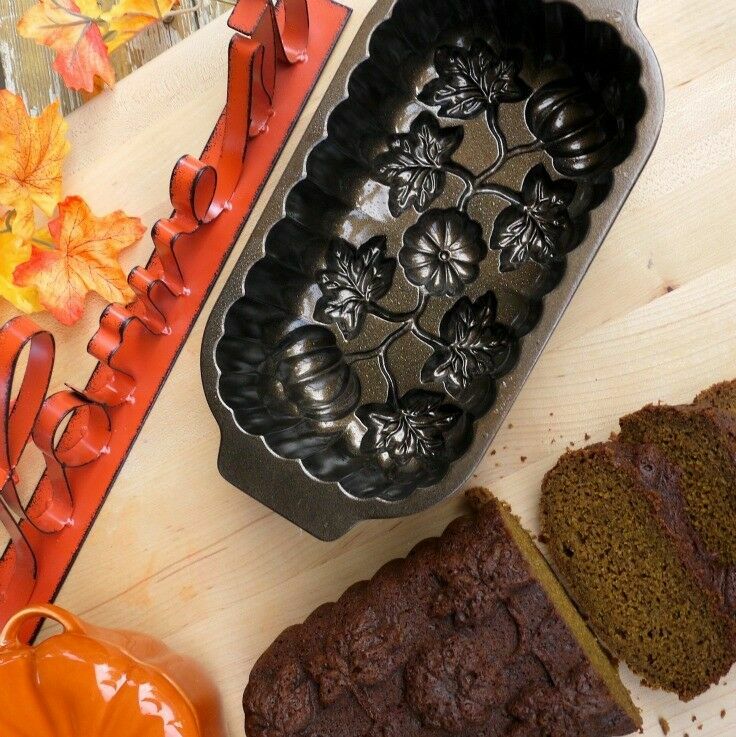 Allow to cool in the loaf pans for 15 minutes on a wire rack before removing. Allow to cool completely. 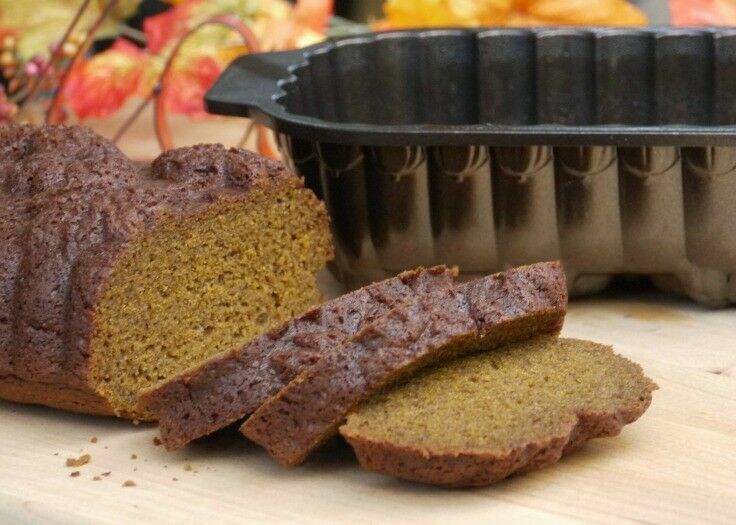 You can also use one large loaf pan and two small ones, or five small loaf pans, or (about) 24 muffin cups, or any combination that makes you happy. Just be sure to adjust cooking time to compensate for the smaller pans. It’s been nearly twenty years since I had homemade tortillas for the first time, and the memory is as fresh as if it had happened yesterday. 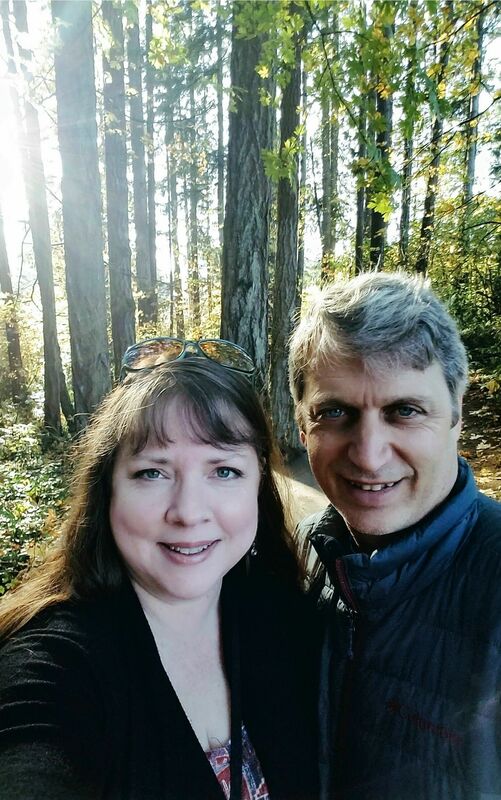 I watched fascinated as our cousin Leah, the daughter of long-time missionaries born and raised in Mexico, rolled out one tortilla after another, flour motes dancing with each turn of her pin. In well-practiced rhythm, she rolled, flipped, turned, and fried each one with machine-like consistency, quickly building a stack of warm, floury flat-breads tall enough to feed our small army of children. Soft, flavorful and tender, Leah’s tortillas made nearly every tortilla I’d eaten up until then taste like flattened papier-mâché. Watching her work was a moment of pure grace, and I remember feeling immense gratitude for her efforts. 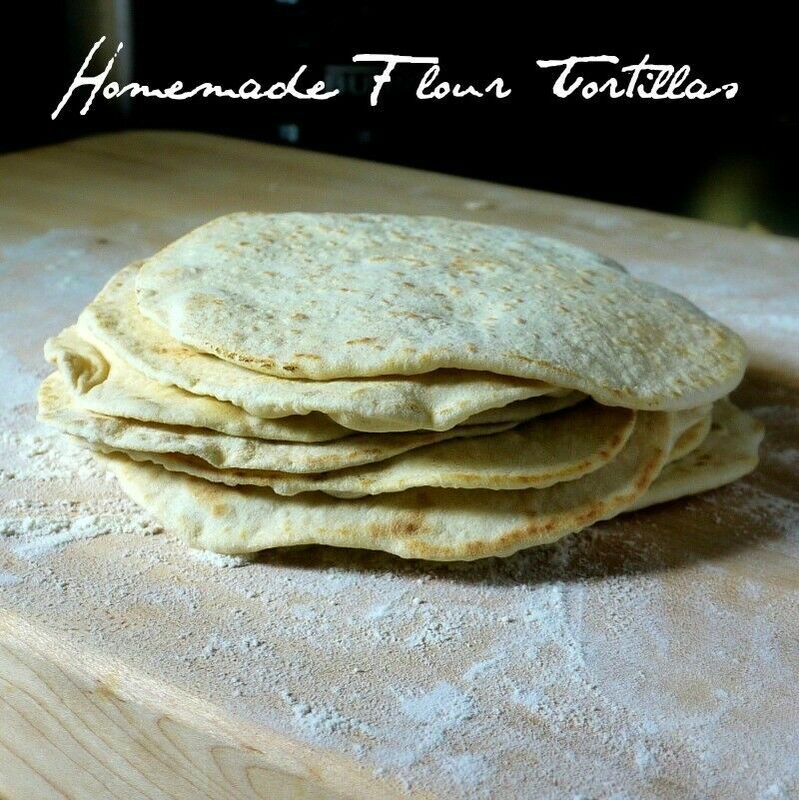 If you have never made homemade tortillas, it’s high time that you do. And once you do, you will never go back to store-bought. (OK, maybe you will sometimes, for the convenience, but after these, those store-bought tortillas will never taste the same again.) 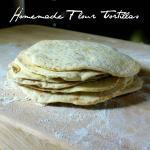 But here’s the biggest secret of all: homemade flour tortillas are surprisingly fast and easy to make! My flour tortilla recipe is an adaptation of “Flour Tortillas Diaz.” I love that it doesn’t call for lard or shortening, and the tortillas it makes are soft and pliable even after they have been sitting for some time. Mix together flour, salt and baking powder. Drizzle in the olive oil and mix with your hands. 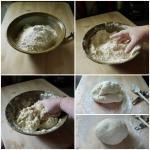 Mix in a little water at a time with your hands until you have a soft dough. (The dough should be soft but not sticky. You can always add more flour if you need to.) Knead the dough for about 5 minutes, adding flour as needed if the dough gets sticky. Heat a frying pan or griddle over medium heat. Do not grease or spray with cooking spray. Place a tortilla in the pan and cook until it bubbles a little – around 20-30 seconds. Flip it and cook the other side 20-30 seconds. 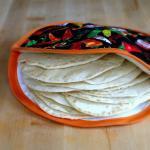 Place cooked tortillas in a tortilla warmer, or inside a folded kitchen towel. The steam from the hot tortillas softens them. It takes about the same amount of time to roll out a tortilla as it does for to fry one, so after you roll the first few, it is easy to get into a rhythm of cooking one and rolling the next at the same time. 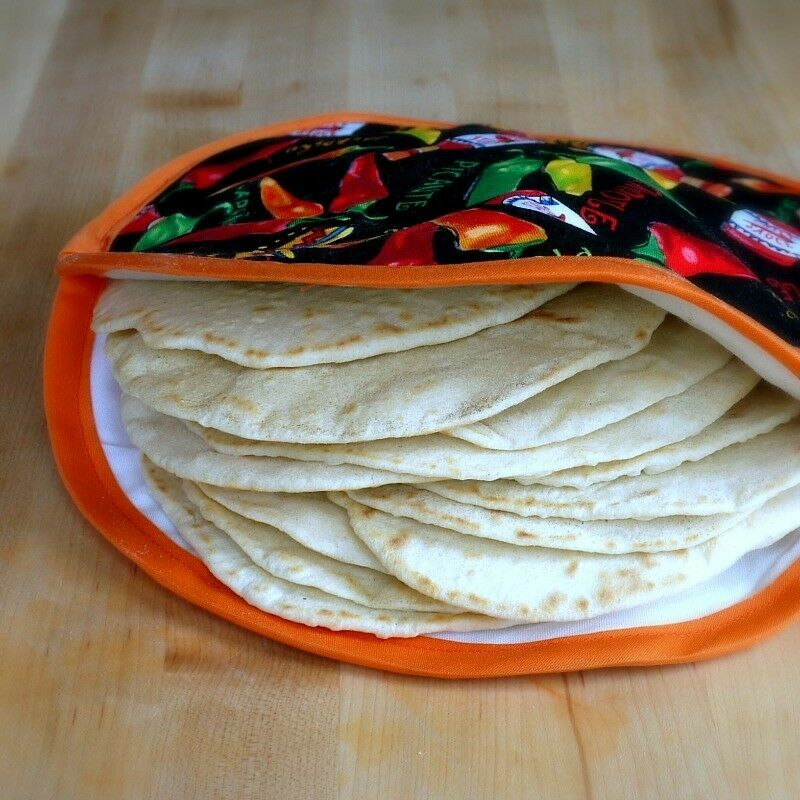 Want to make an awesome tortilla warmer like the one in the picture above? Check out my tutorial here! Mr. B isn’t usually very big on bread at meals; biscuits in particular have always been a head-shaker for him. If there was a Goldilocks of biscuits, he would be it. He said whenever anyone made them, they were always too hard, too soft, too dry, too bland, too salty, too sweet, too floury, too, too… too biscuity. Until last night. We were having 13-Bean Stew for dinner, and at the last minute, I decided to make some biscuits using a new recipe I have been working on. A few bites in, Mr B looked at me mid-biscuit-bite and nodded enthusiastically, “Weese roar rewwy rood!” Swallowing, he said it again for emphasis, “These are really good!” I think even he was surprised that he liked them. 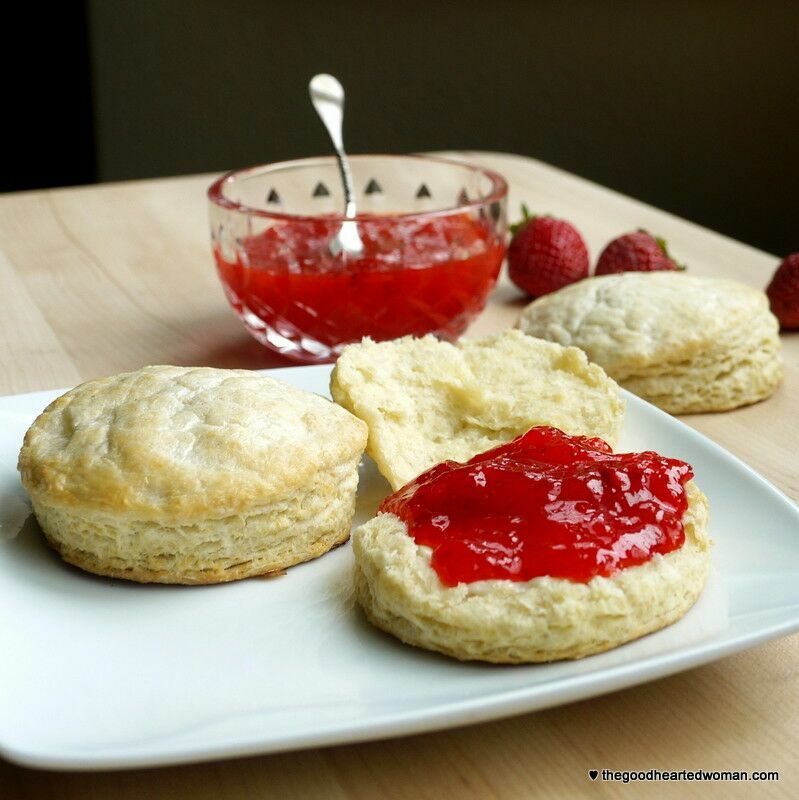 These really are perfect buttermilk biscuits – the lightest, flakiest biscuits I’ve ever made. After dinner, we ate them with fresh strawberry freezer jam for dessert. Then we ate them again for a late night snack. We finished them off this morning with our eggs and a little more of that fabulous Hood Strawberry Jam. (Tutorial coming next week!) 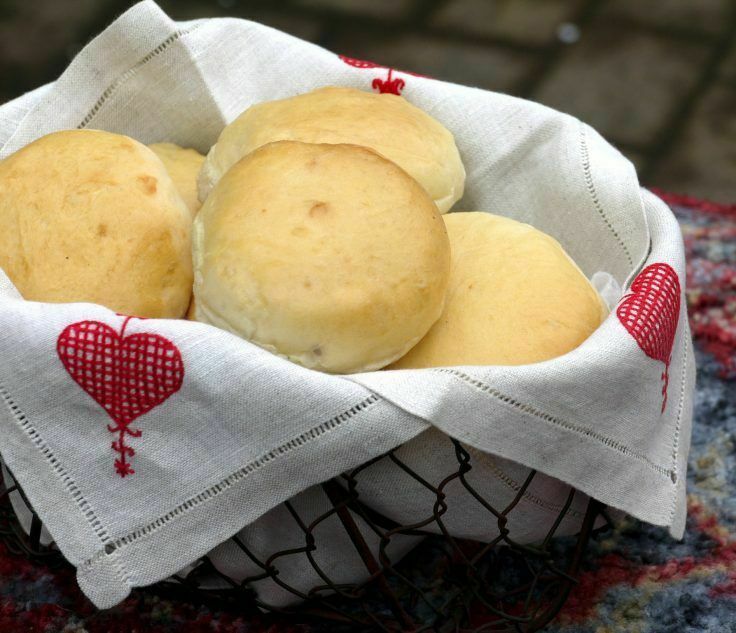 I made another batch of biscuits this morning just to be sure I had every thing right. (Plus, I had to take pictures  ) They will be gone by the end of snack-time today, I’m sure. Sift flour, baking powder, salt, baking soda and sugar into a large bowl. Make a well in the center of the flour mixture and pour the buttermilk into it. Stir just enough to combine. Turn the dough onto a floured surface and pat it down. 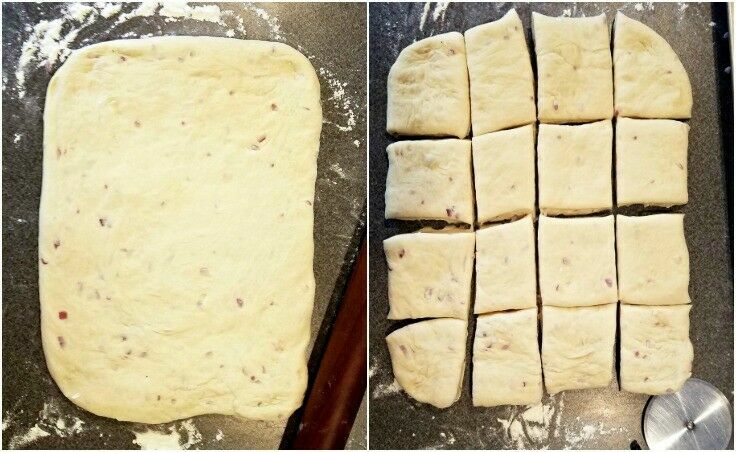 Roll the dough ½ inch thick and fold in half. Roll it out again to ½ inch thick. 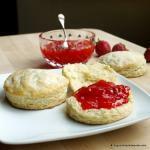 Using a round biscuit cutter or the top of a drink glass, cut biscuits out. 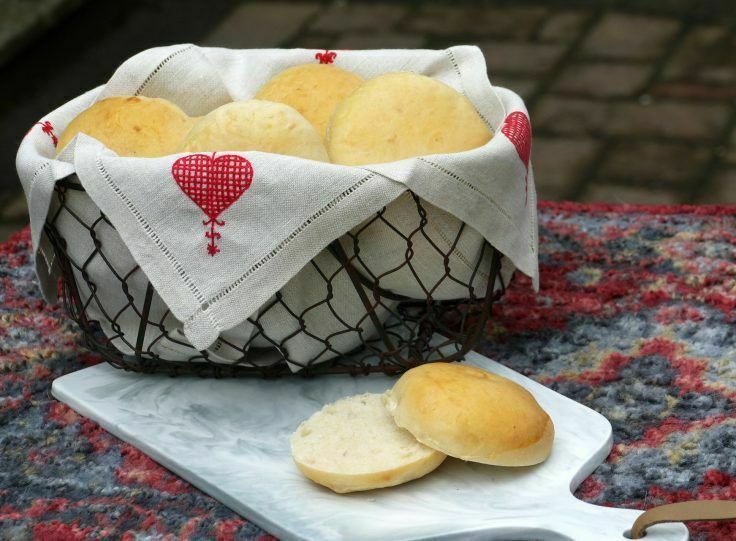 Transfer the biscuits to a parchment-lined baking sheet. Brush the tops of the biscuits with additional buttermilk. Bake in preheated oven about 15 minutes, or until lightly browned. 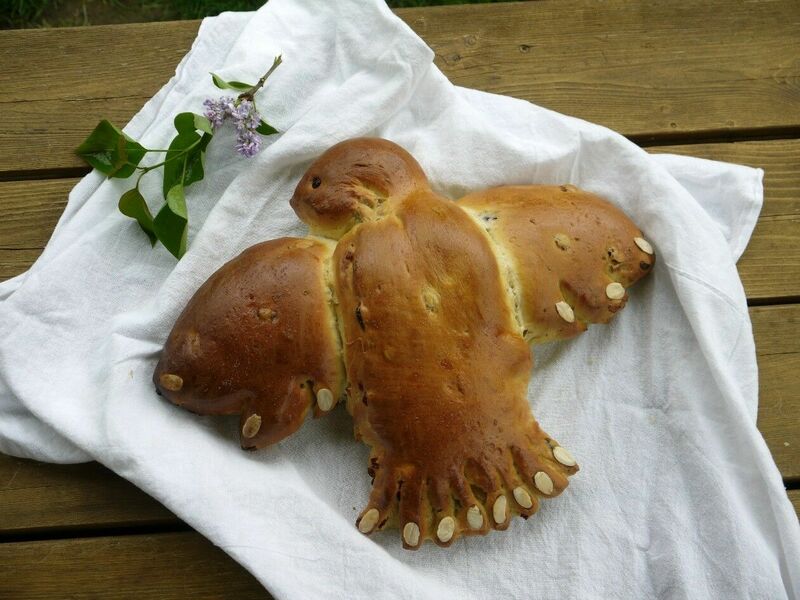 Easter Dove Bread [Colomba Pasqua] is the most well-known of the many traditional breads prepared in celebration of the Easter holiday in Italy and around the world. Italian Easter Dove Bread is a tradition with a long and colorful history that dates back as far as 572 A.D. The most popular legend, however, comes from Italy’s Lombardy region and the Lombardian victory over Holy Roman Emperor Barbarossa. According to legend, two doves (representing the Holy Ghost) miraculously appeared over the battle field. 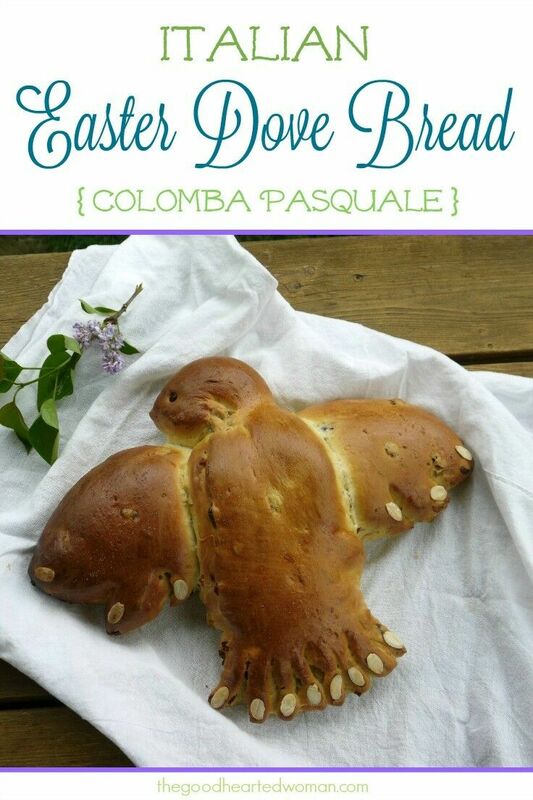 However it began, the popularity of Colomba Pasquale (literally, “Easter Dove”) swept across Italy, until it became what is now the unofficial national Easter bread. 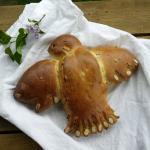 While many dove bread recipes employ a simple paper form to create a rough dove shape, the method for forming the dough presented here results in not only a sweet, citrusy, delicious bite, but a beautiful presentation as well. This is a rich, sweet egg bread is very easy to make, and I highly recommend it for novice and expert bread-bakers alike. Wrapped well, it will taste even better the second day, perfect for pre-Easter preparation. In a glass measuring cup, whisk eggs and egg yolk with enough milk to make exactly 1 ½ cups of liquid. Pour into bread machine or mixer. Add flour, sugar, salt, butter, softened butter, orange zest, and anise in that order. Make a small indentation in the top and add the yeast. When the dough process is complete, turn the dough out onto your countertop, cover with a clean cloth and let it rest another 5 minutes. Cover a large baking sheet with parchment paper or lightly grease. On a lightly floured board, roll dough into a 10"x8" rectangle. Cut into two 10"x4" rectangles. Place one rectangle on the prepared baking sheet, and pinch middle to make wings. On the second rectangle, pinch for head and body. Cut seven 2 inch slashes for tail and fan out. Cut two 2 inch slashes for each wing and fan. Cover and let Dove rise in a warm place for 30 minutes. Preheat oven to 350°. Combine egg white and water and brush onto dove. Place almonds on feathers as shown. Bake 30-35 minutes or until golden. Remove to wire rack to cool. You can also make the dough by hand. 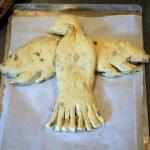 Just mix it up in your mixer, knead it as you would any bread dough, and let rise once before shaping. Novice baker or in a hurry? 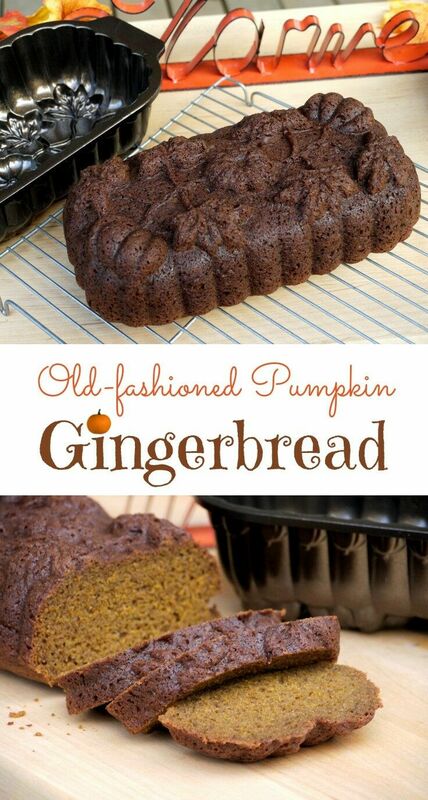 You can also make this bread with a prepackage bread mix. Just follow the directions as instructed on the package, reducing the liquid by 1/4 cup, and adding the anise, zest, and dried fruit. 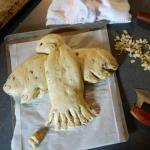 After the dough has risen once, follow the directions for shaping the Dove. Over the course of my life, I must have thrown a thousand bread heels away. When I was a kid, they were just so much more crust, which I was not big on at all. Then, as an adult, the heels on “store bread” always seemed to get pushed off, by both me and my kids because, let’s face it – they are usually thin and dry and not all that appealing. (Wow. Talk about your First World problems.) Sure, I’ll use them for French toast, or the last sandwich face in a pinch; nevertheless, they tend to be the last piece left and more often than not, they get tossed. I know – terrible habit, but it’s the truth. Homemade bread heels are another story. Because, first of all, I made that bread, dang-it! With my own two hands!! Plus, everyone in the house seems to like the homemade bread heels, especially if they can snag one while the loaf is still warm. But even with that kind of demand, I usually still have a little bag full of bread heels by the end of the week – particularly when I am on a bread-making binge – and I just don’t have the heart to throw them away. 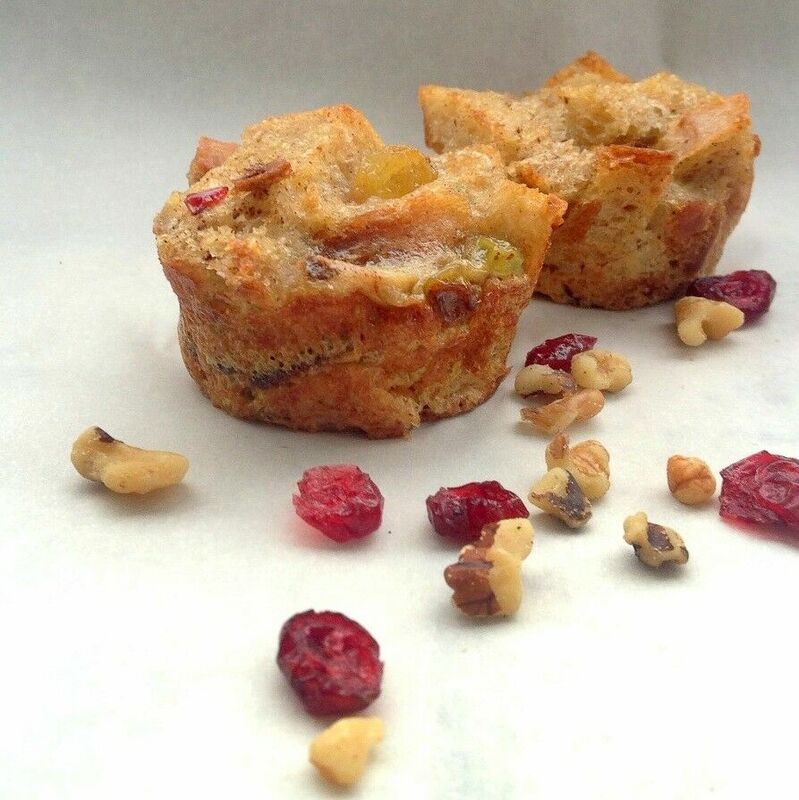 Last week, I found myself with a four little heels and a couple of stray pieces of stale-ish bread – not nearly enough to make a whole pan of bread pudding, but just the right amount for making our little family Bread Pudding Muffins for breakfast. They are so easy to make, and take less than 20 minutes start to finish. 1 teaspoon of cinnamon and maybe a dash of ginger or nutmeg if you like it. Preheat the oven to 350°. Spray a standard muffin tin with cooking spray. You probably won’t need all the cups – when I made this the other day, I only used seven of them. In a medium bowl, combine bread cubes and raisins/nuts and set aside. Spoon mixture into muffin cups and bake in preheated oven for about 15 minutes, until set. Serve warm or cold. Either way, everyone will love you. This recipe is extremely flexible – just use what you have on hand. 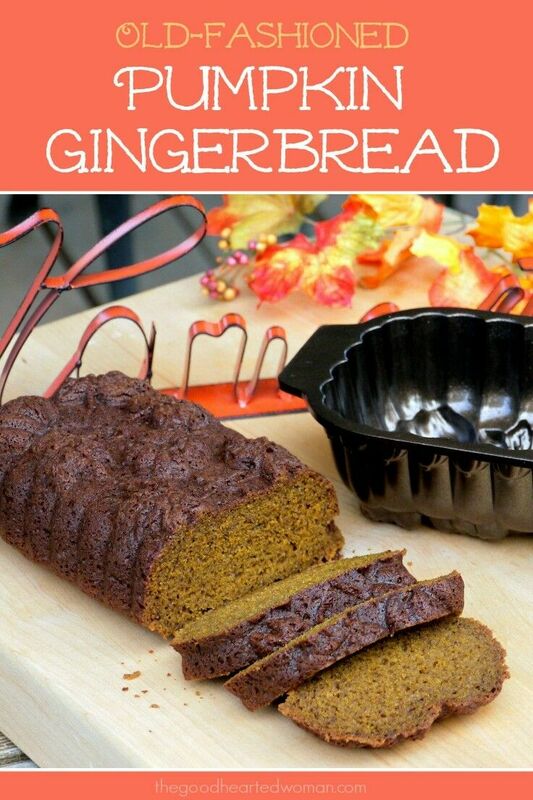 Makes a great breakfast or after-school snack. Want to make someone feel really special? Want to feel great yourself? Give a loaf of homemade sourdough bread!! This post may contain affiliate links, but don’t worry – they don’t bite. Last month, I embarked on a new adventure – I started the of growing a sourdough starter and learning how to use it. Last week, after lots of research and careful thought, I made my very first loaf of sourdough bread. I’m not great at following much of anything to the letter, so I didn’t use one particular recipe – instead I studied a few that were recommended for beginners and put something together that made sense to me. And it turned out wonderfully!! My little loaf of bread was gone so fast that I barely had time to take a picture!! Sourdough bread is more than just delicious and pretty though. In fact, that was the idea that compelled me to start investigating Sourdough. 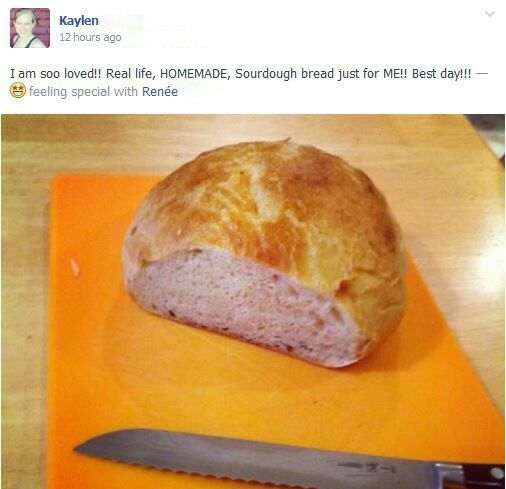 As I mentioned in an earlier post, my BFF Jenny asked me to give sourdough a go in the hopes that it will benefit her daughter, Kaylen, a beautiful young woman with some serious digestive issues. Gluten is not Kaylen’s friend. But she misses bread – real bread that does not “taste like sand” (Kaylen’s words) – a lot. Want to feel really happy? Give someone you love a loaf of fresh bread!! Made me cry. You just don’t get a better feeling than that, you know? 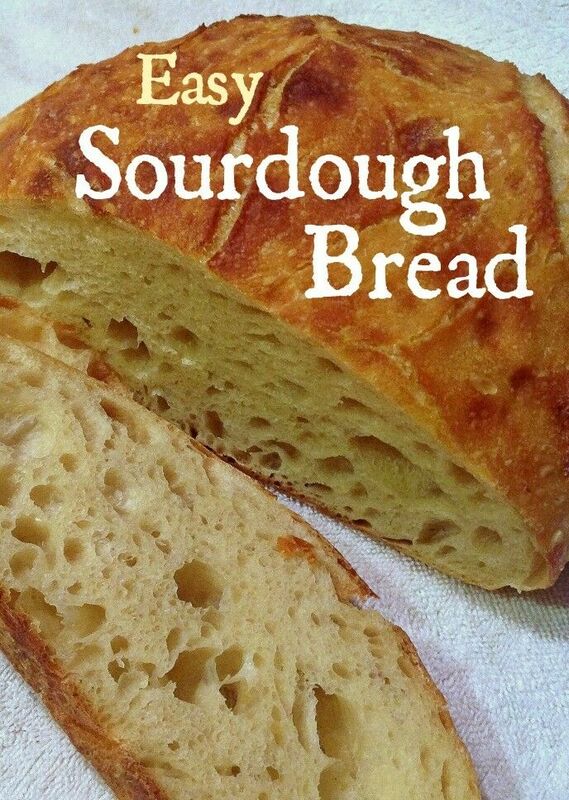 Here is my recipe for Easy Sourdough Bread, including links to those recipes I used for guidance. Super-basic. 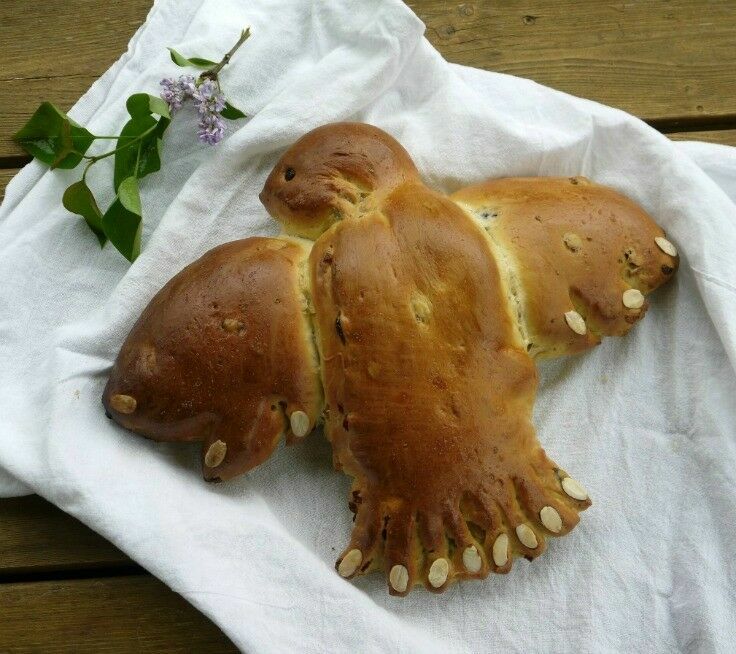 No bells, no whistles - just bread. 1 1/4 cups lukewarm water you may need more or less, depending on your starter's hydration. Mine is 100% hydration starter. 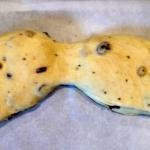 In a stand-mixer, mix ingredients with bread hook until just combined. Let rest for 10-20 minutes. While it is resting, lightly coat a medium-sized bowl with olive oil. The bowl needs to be a big enough to allow the dough to double in size. 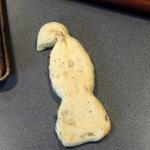 Knead dough with bread hook 5-10 minutes. Remove from mixer, shape into ball and put into the oiled bowl, smooth-side down, and then flip it smooth-side up so that all sides of the dough are covered with oil. Cover bowl with plastic wrap. 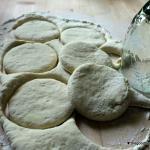 Form bread into a boule (a round loaf) and place on a square of parchment paper. With a wet serrated knife, cut a couple of slashes on the top. (So far, I've always forgotten to do this and it wasn't the end of the world.) Cover loosely with a damp towel and allow to rise for 1 1/2- 2 hours. In the last 30 or 40 minutes of the last rise, move your oven rack to the bottom third of oven. Put a cast iron Dutch oven with lid in the cold oven and preheat to 450º for 30 minutes. Put the lid on the Dutch oven and bake for 12-13 minutes. Uncover and bake another 12-13 minutes. Remove and place on a wire rack to cool for 30 minutes. DO NOT slice the bread until it has set for 30 minutes - this is part of the baking process. Really. 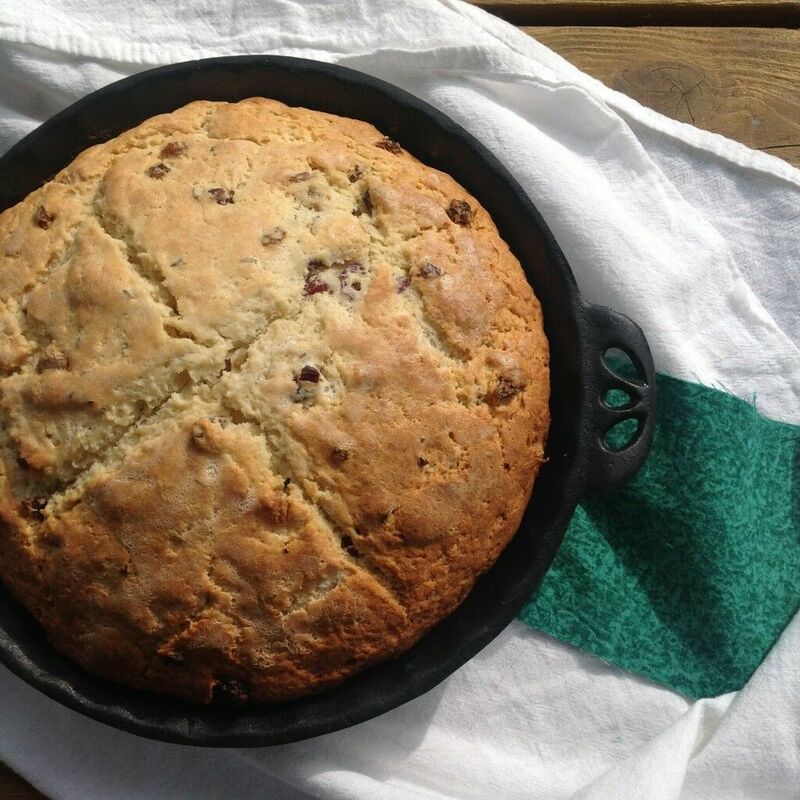 If you don't have a cast iron Dutch oven, you can use a baking stone. If you use a baking stone, cover the boulé with a big roast pan lid or something like that. The idea is to create some steam for the first part of the baking process- this is what gives it that awesome chewy crust. I’ve learned so much already about baking with sourdough; enough to know that what I do know barely scratches the surface, so if you are a sourdough baker and see something I’ve written that could use improvement, please leave a comment. Like most of us, I’m here to learn. 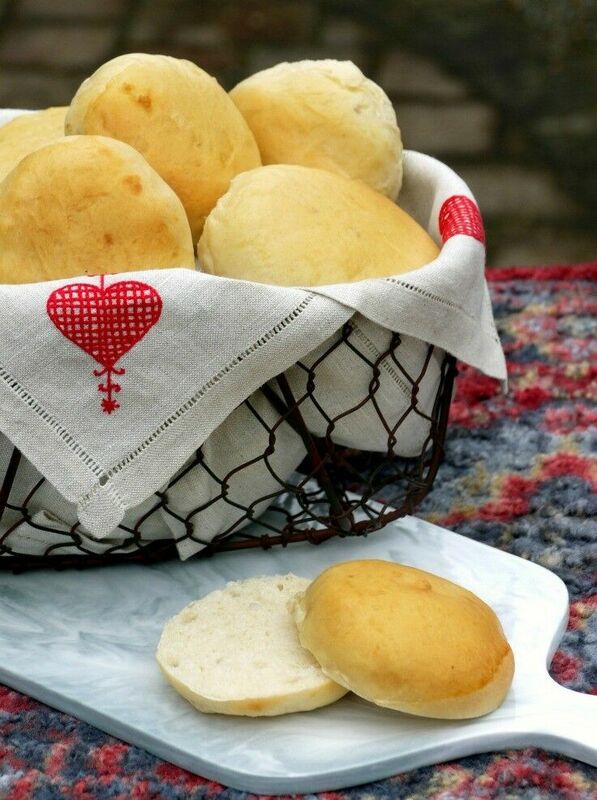 BREAD BAKING FREEBIE: Bread Making Basics is a free PDF guide available exclusively on Craftsy, featuring 24 pages of tips, tricks & recipes from incredible bakers and cake decorators. Download it instantly for free now (you can print it easily if you’d like) and enjoy it forever in the comfort of your own home or even on the go!